Martha Stewart admits to hating bloggers. And I admit that she's right. Okay - this post has nothing to do with anything, it's just a fun look at some old toys and TV shows I loved. Saturday we loaded up our furbabies and went to Woofstock at Veteran's Park in Hoover. 7. Project Bulk - The latest numbers are going down. 8. Y'all Connect - An invitation to sponsor Alabama's biggest blogging/social media event next year. 9. 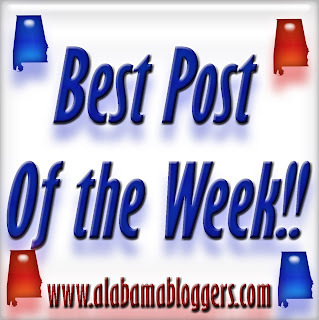 Birmingham Blogging Academy - My pet peeve, too many compliments. I tried a different kind of post this week to just give a sample on what I've been up to and what's on my mind with -ing prompts. Week #5 of my year-long blogging/baking challenge. Biscotti! It turned out great. Loving some lemon pasta with italian lemon juice from Piggly Wiggly!! MMmmm!